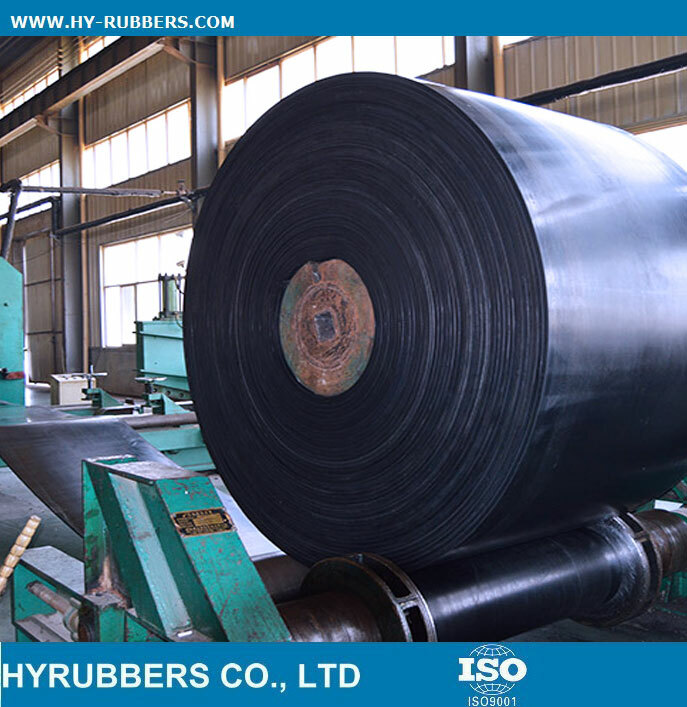 This one EP200 conveyor belt is 20MPA tensile strength, which could be used in cement, mining, coal. 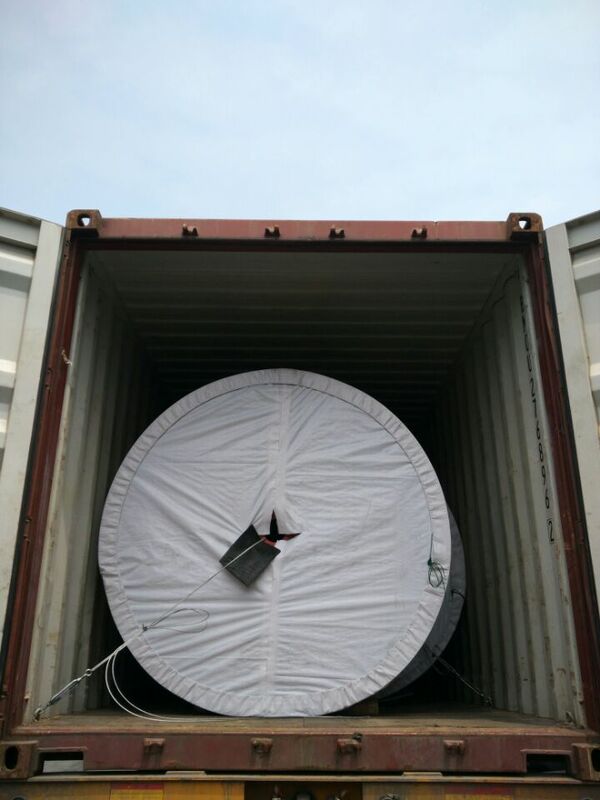 This one EP200 are exported to Mexico. 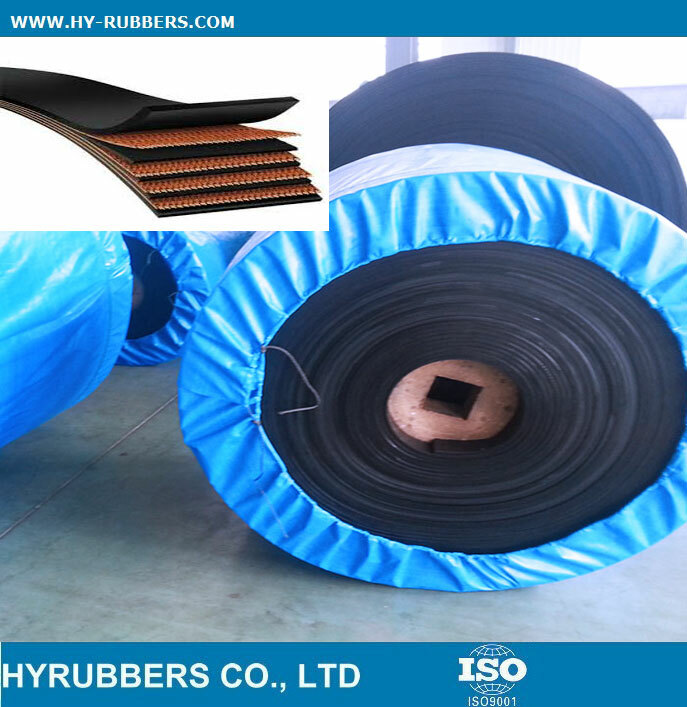 With the advantages of thin belt with light weight, high tensile strength, fatigue and wear resistance, erosion resistance of water/steam/chemical, good impact resistance, excellent groove formation ability, low elongation, good stability ever heated and long service life, it's the developing trend of fabric conveyor belt. 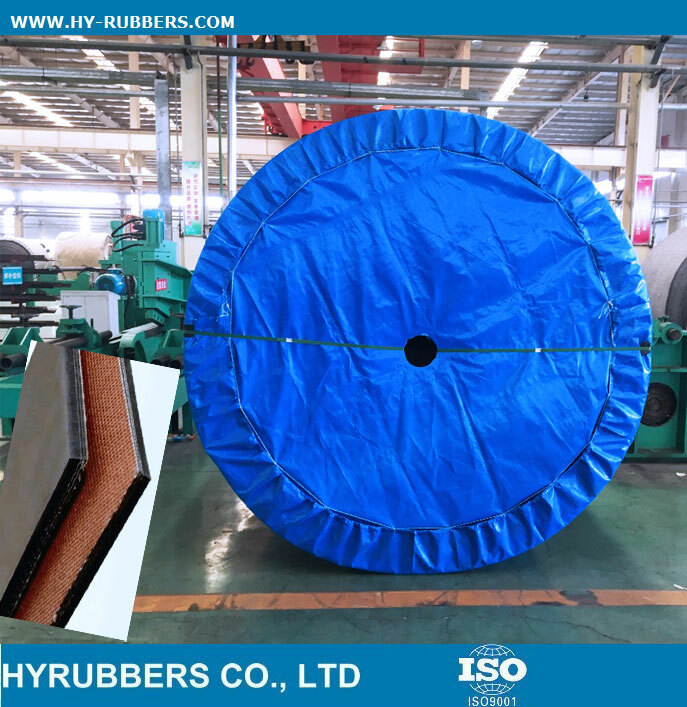 It is mainly used in harsh condition of long distance,heavy-load, high-chemical corrosive etc, it is especially suitable for transporting in moist environment. 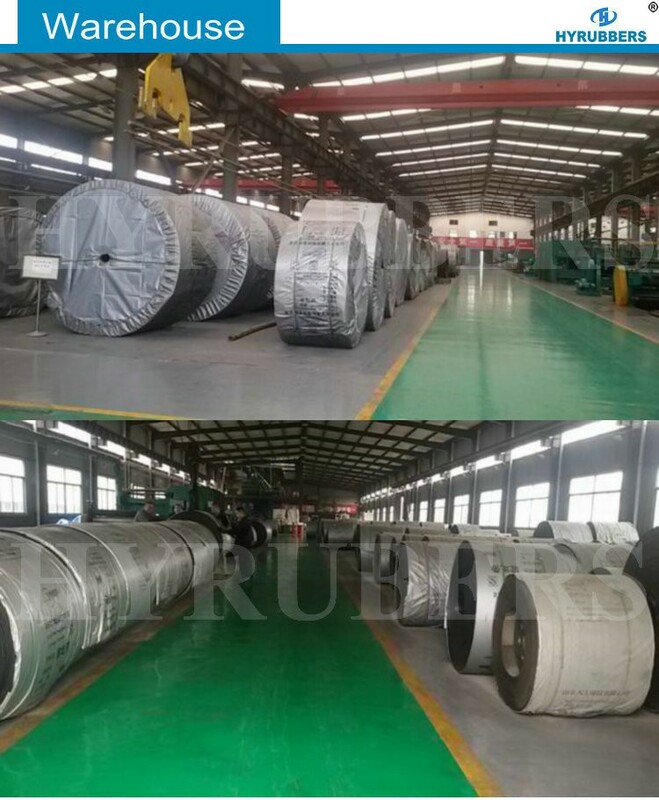 We have 3 production lines for fabric conveyro bet, 3 production lines for steel cord conveyor belt, 3 production lines for PVC/PVG conveyor blet. 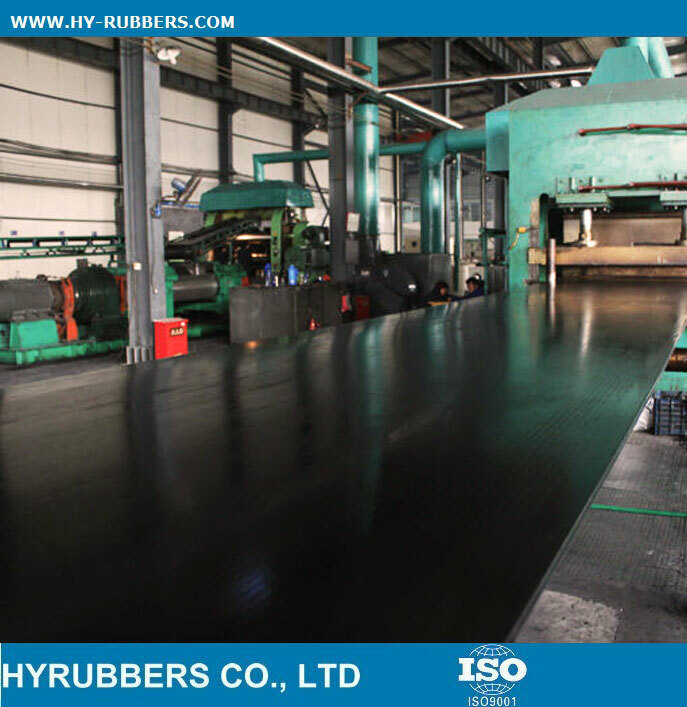 The length per roll could be 200, 250 or 300m as your request, the width could be 2000mm. 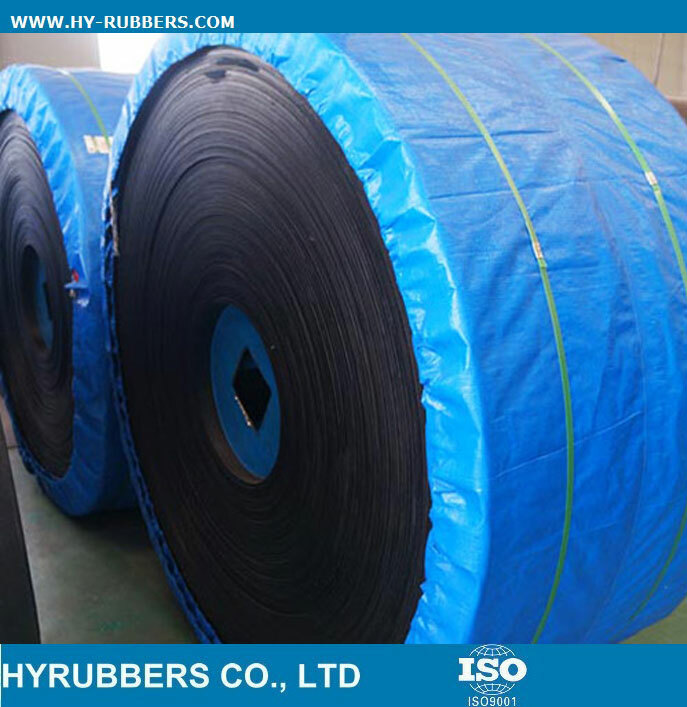 The rubber conveyor belt is packed with waterproof nylon bag to avoid damage during transportation. 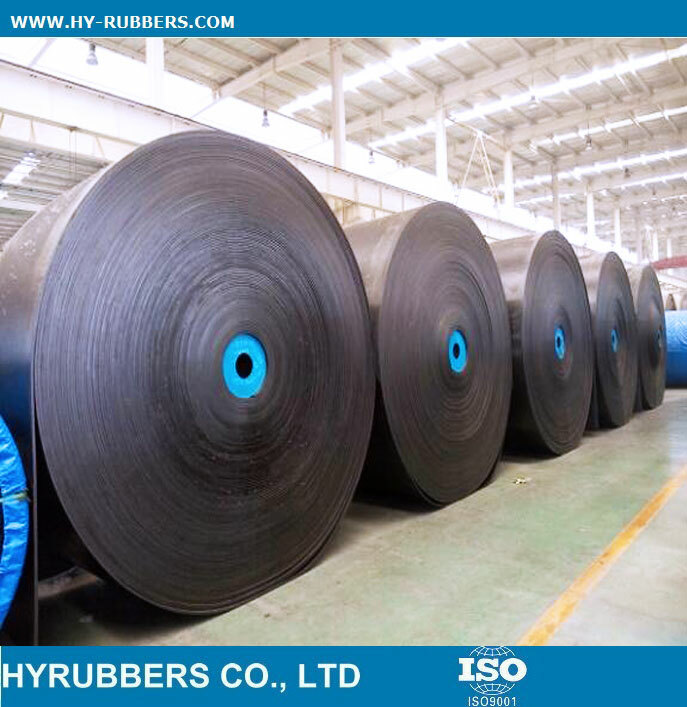 To strength the package, we also use steel between the container and conveyor belt. 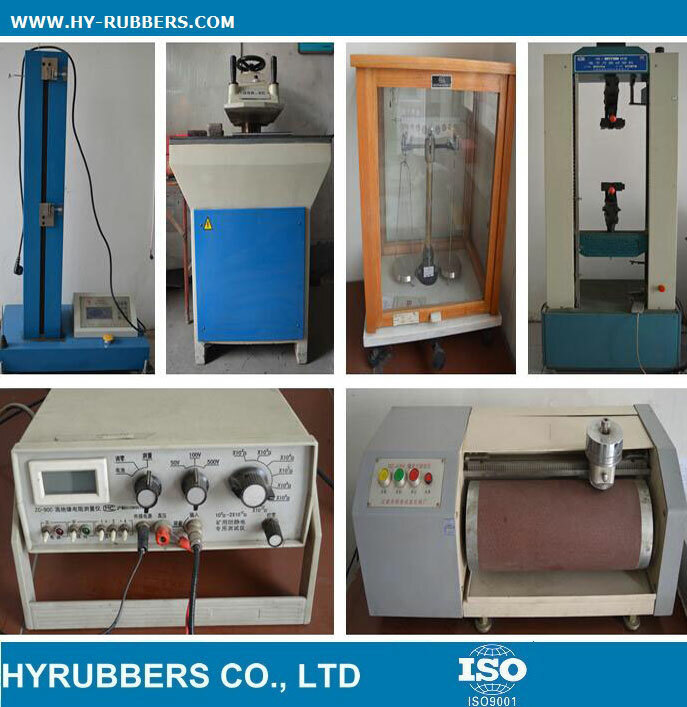 We have improved test machines to test Ozone test, tensile strength, flame test, adhesive strength, etc. 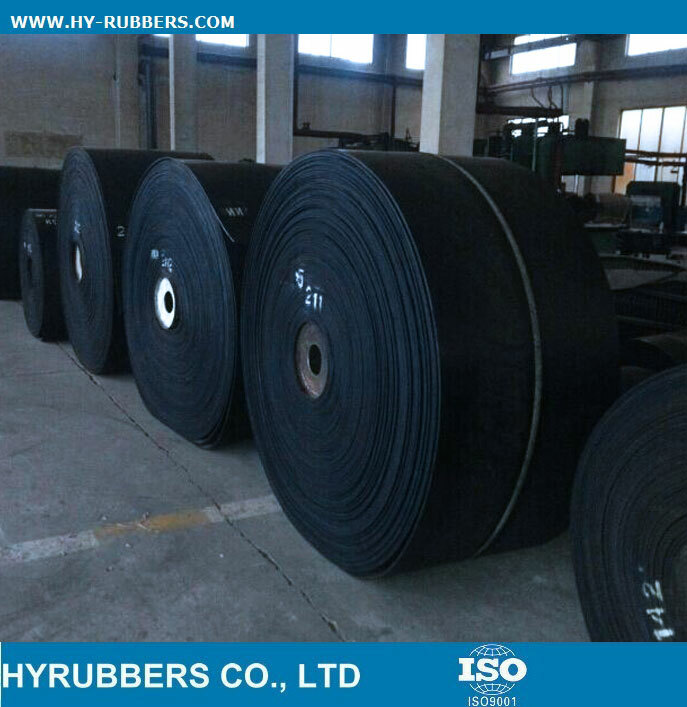 to guarantee the high quality conveyor belt before delivery. 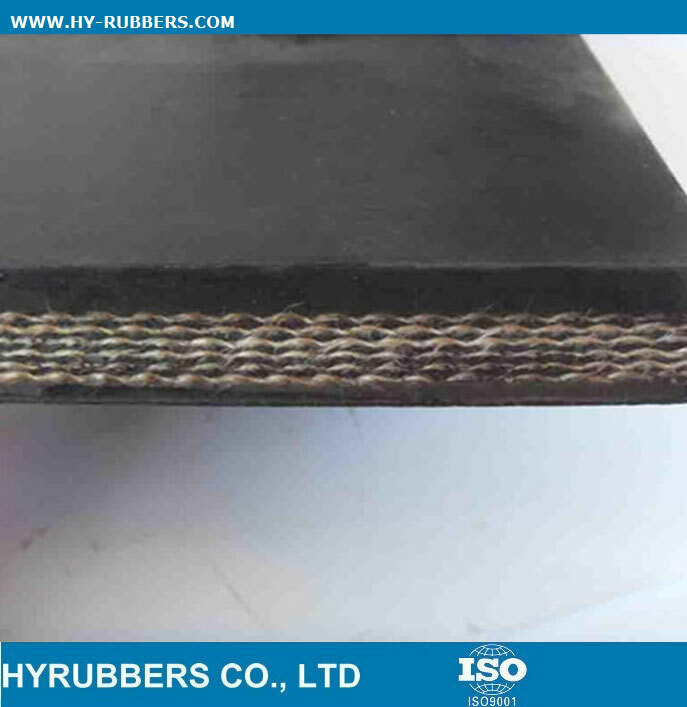 Yes, Hyrubebrs Co., Ltd is subsidiary of Hyrubbers Group Limited. 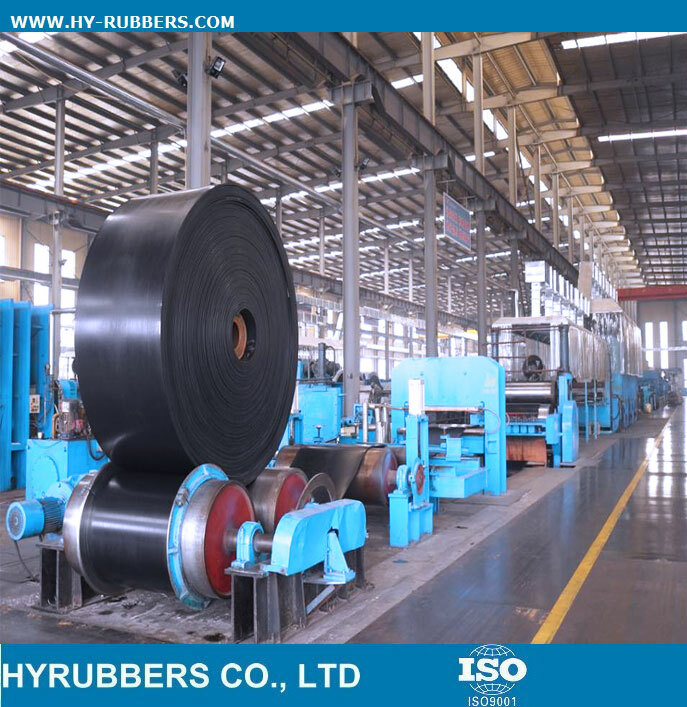 HYRUBBERS is the leading manufacturer of conveyor belt . 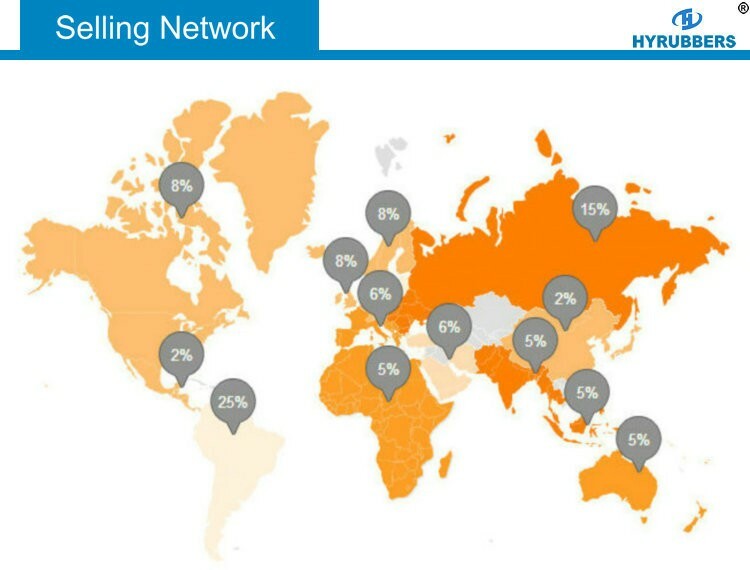 We enjoy a nice reputation as "There’s nothing in our world more important than your business. " Qingdao, Shandong, China. Welcome to visit our factory. 3. How many years experience you have? 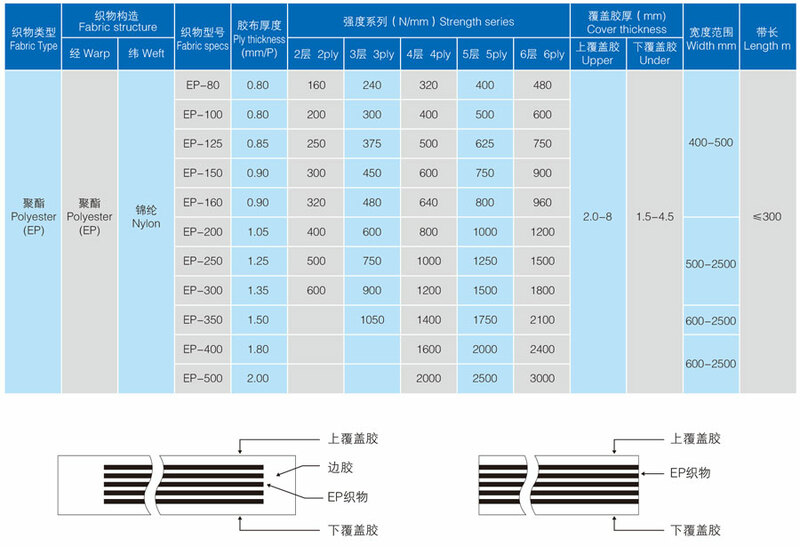 We have 17 years experience on hydraulic hose since 1999. 4. How many staffs of your factory? 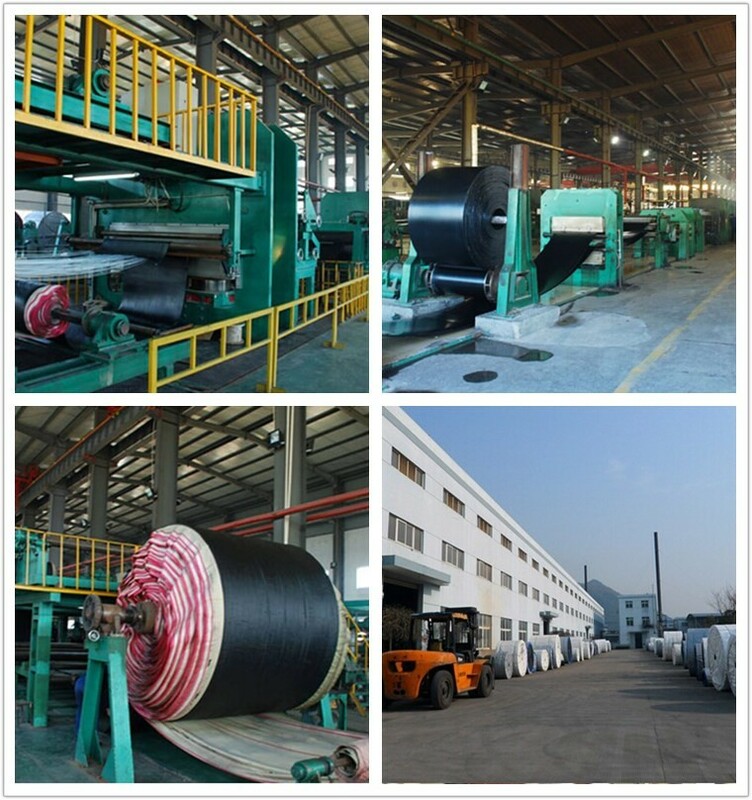 Our factory has over 260 staffs including 3 engineers and 10 technicians. 5. Do you have a special price and service for wholesale? 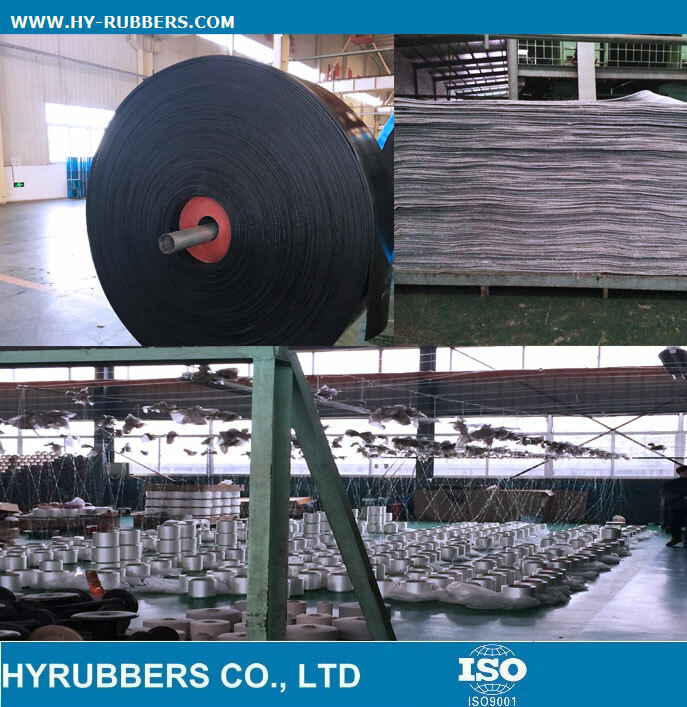 Yes, Since we are focus on supply our conveyor belt to Wholesalers and distributors to develop our B2B business.We will provide the most competitive price and best service to support our wholesale customers. 6. Can you accept OEM ? 7. How do you ensure the quality? More details please review production details. 8. Can I order one piece for sample to test the quality? Yes, the samples are free. 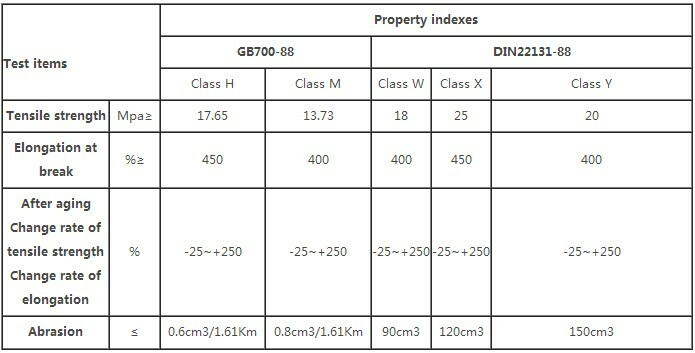 Express cost are on buyer side.